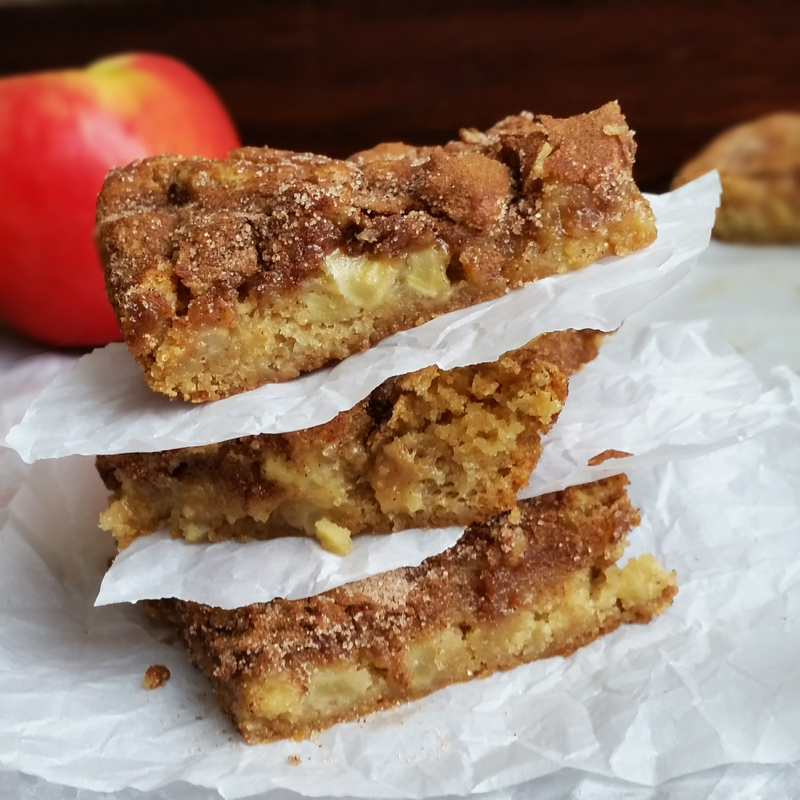 Apple Snickerdoodle Blondies by Rumbly in my Tumbly. 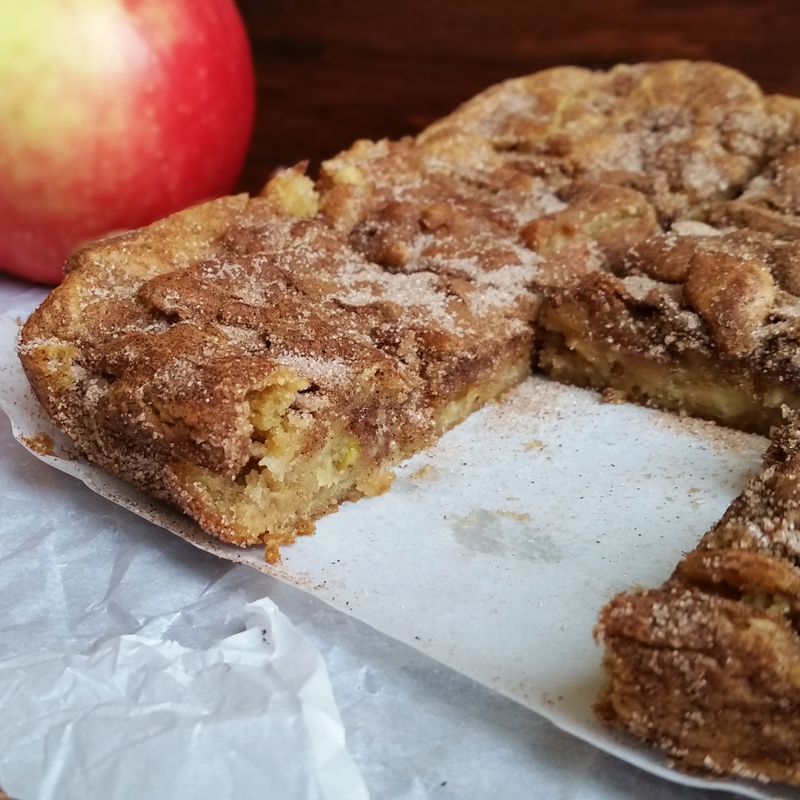 A Hybrid between snickerdoodle cookies and apple pie. 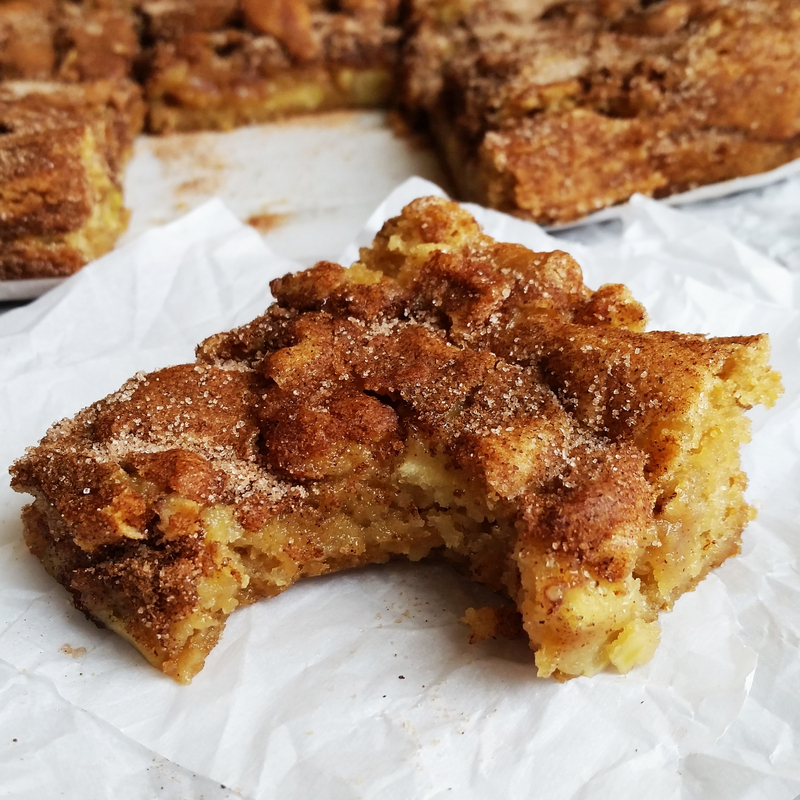 Everybody who reads this blog knows that my original dish soap worthy recipe, my number two weakness, (next to pie) is my recipe for Snickerdoodle Blondies. 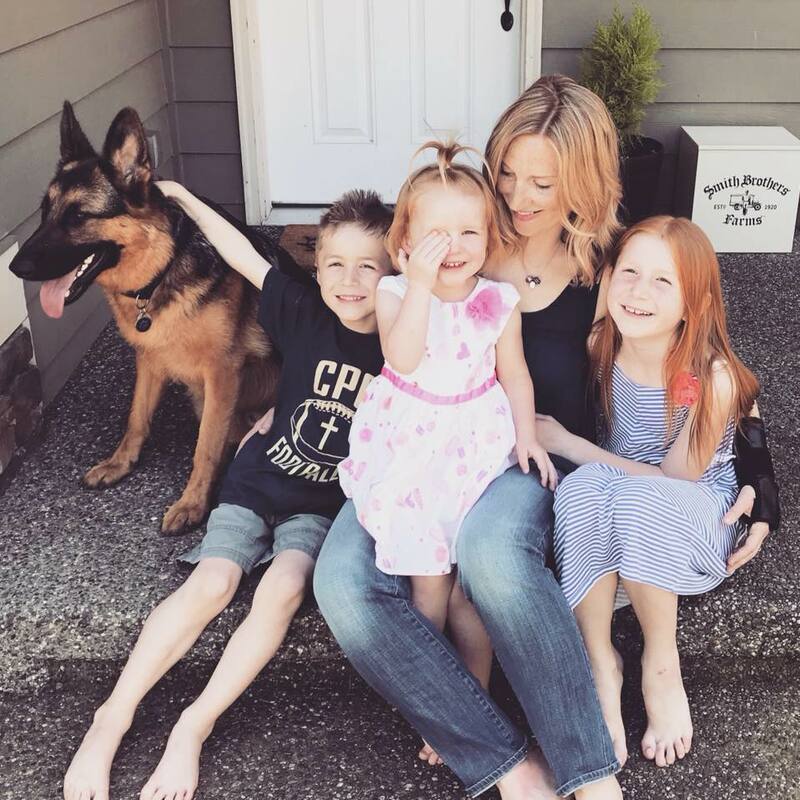 They are my absolute favorite thing. Like, ever. Until today, I didn’t know there was a way to improve upon them. But it turns out, you learn something new every day. 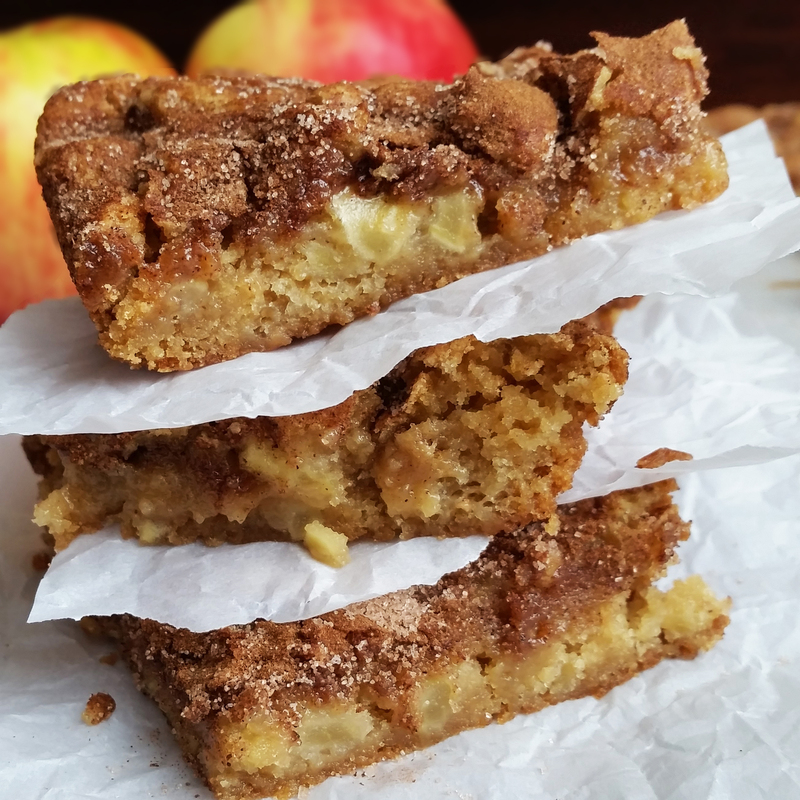 All the flavor of those dense, fudgy, cinnamon-sugar blondies, packed with apples. 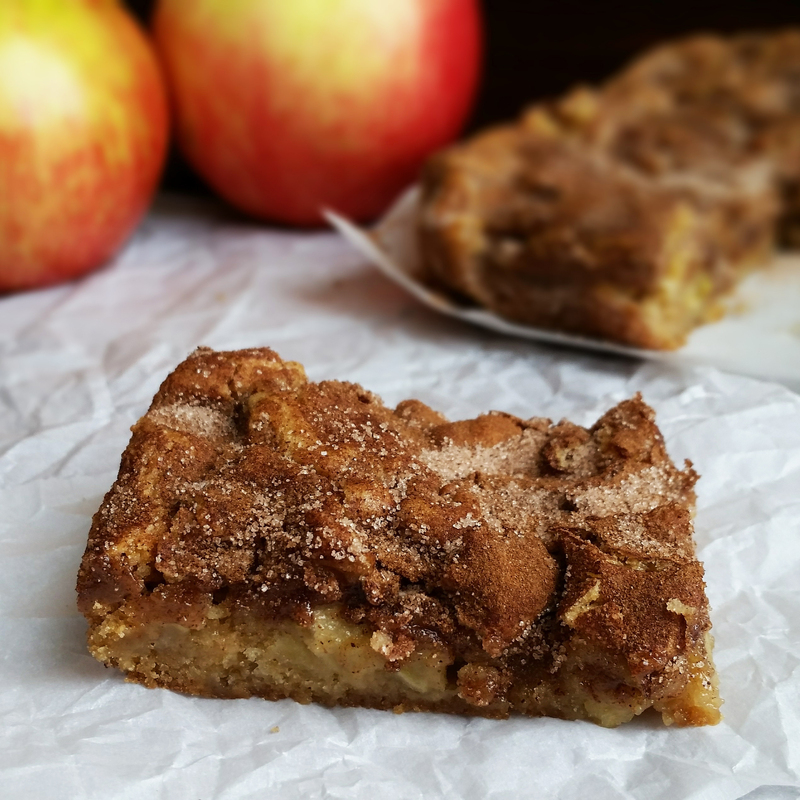 Maybe not quite as pretty as the original- you may need a fork. But the added taste is worth the mess. Something about it reminded me a lot of an apple fritter donut. Give these babies a try, they will not disappoint! 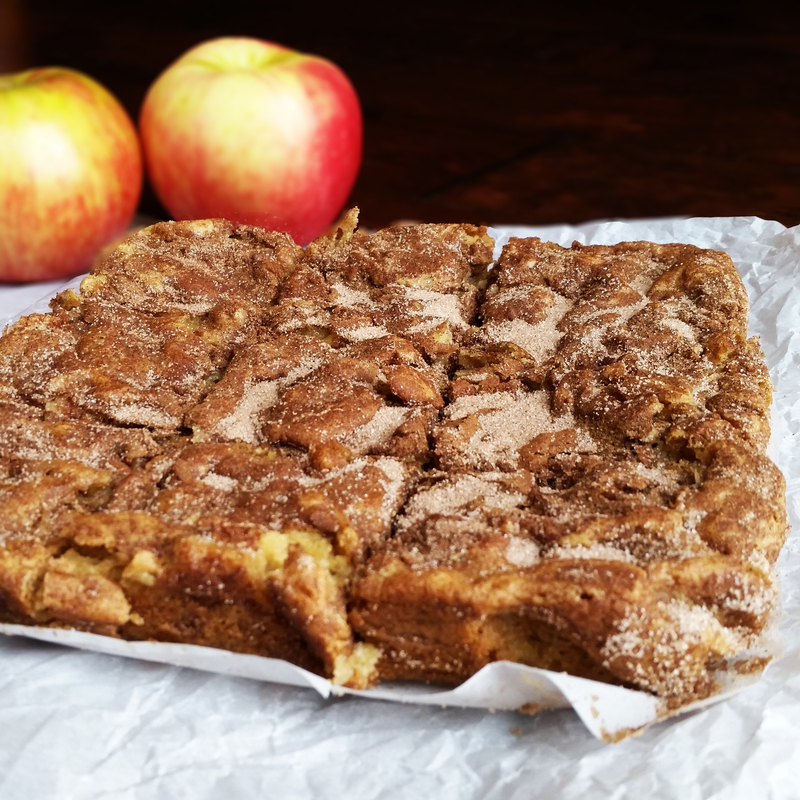 Preheat the oven to 350° and line an 8×8 pan with a foil or parchment paper sling. 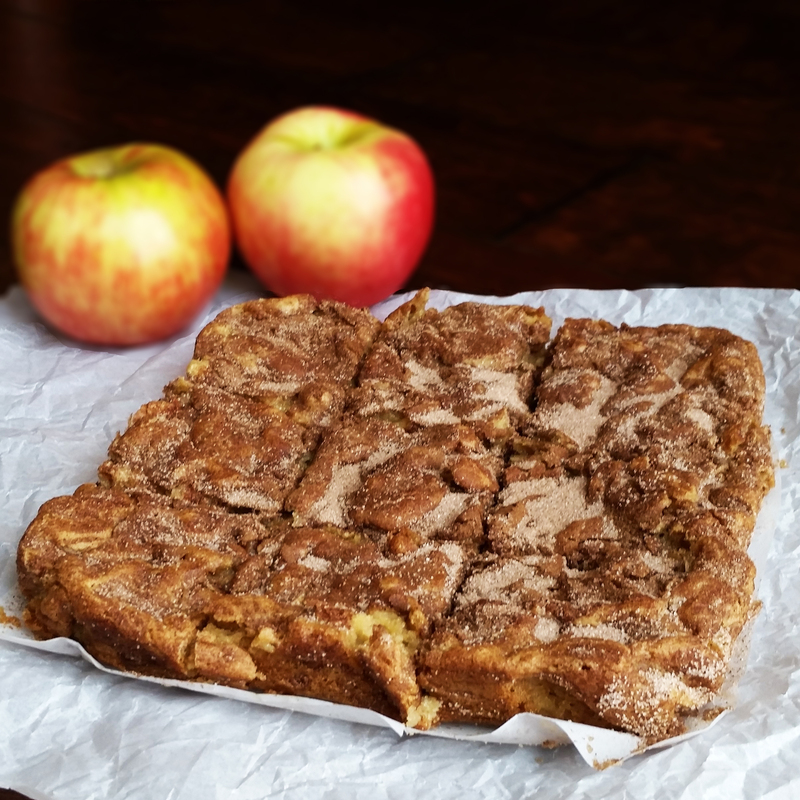 (You can double this recipe and put it in a 9×13 pan as well.) Spray the sling with non-stick spray. In your mixer, whip together your butter and brown sugar until light. Add the egg and vanilla and mix well. Add the flour, salt, baking powder, and mix until just combined. Add the chopped apples at the very end and stir by hand into the mixture. Press into your prepared pan. Slightly damp, clean hands work best for this. 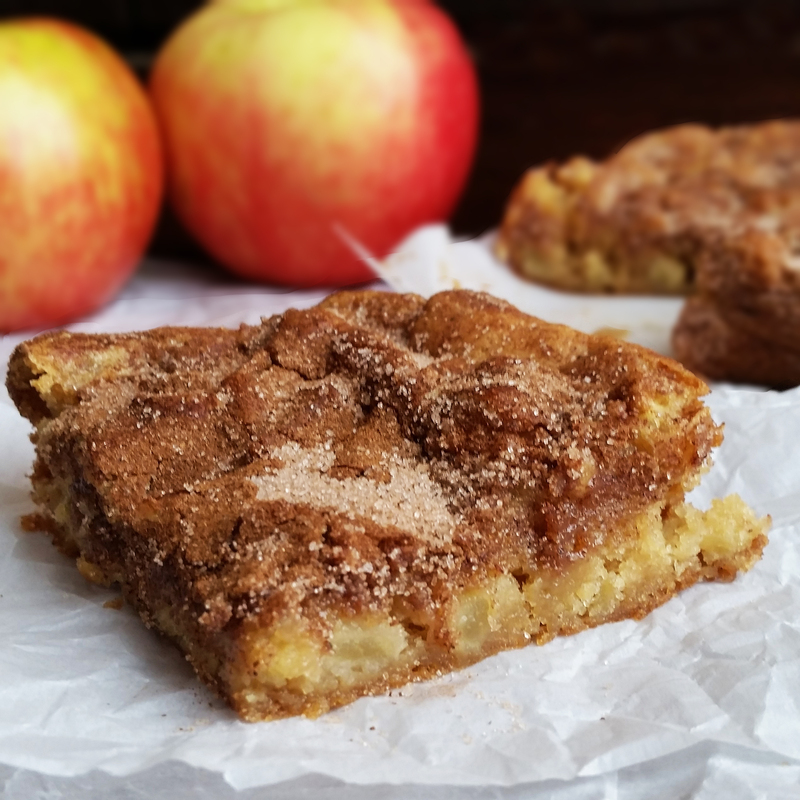 Mix the cinnamon and sugar together and sprinkle over the top. Bake for 25-30 minutes until a toothpick inserted into the center comes out clean. Cool and serve. Enjoy! I so expected these to contain a Snickers bar based on the name….looks amazing!